Did you know? 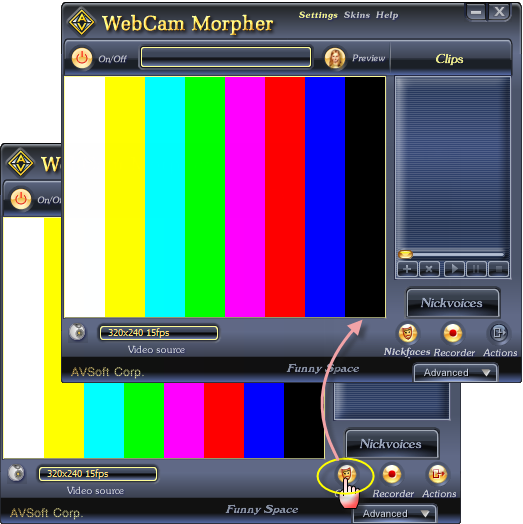 AV Webcam Morpher has the ability to show a video through webcam when you are calling your friends via Skype, ooVoo, etc. 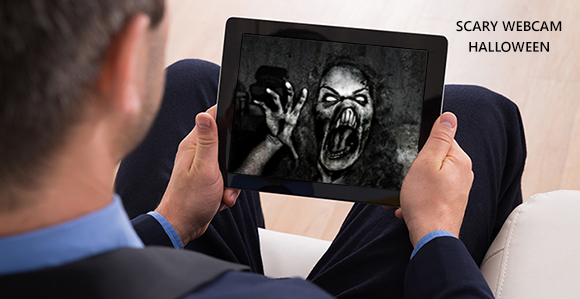 In this post today, we will show you how to show a scary video clip on webcam while video calling. Halloween is coming, time to scare some friends with fun tricks. - Click Clips button to open the Shared Clips module. - All instant messenger programs not necessarily in use should be closed to optimize the sharing process. - You should also remove all Logitech Webcam applications to avoid any conflicts or problems with video displaying in AV Webcam Morpher. - Click Add Clip button under the pane to bring up the Open dialog box. - Select the video clip you want to show. - Click Open to open the file and close the dialog box. Double click on the video file name in the Clips pane to play the file, or click on the Play button to play. * Make sure that the Preview button is ON (highlighted) to display the video in the Preview screen. And now, everyone, it's time to invite your friends for a video call. And when calling, turn on the clip, bring a little scary horror this Halloween and enjoy the moment.